This is a fast moving software with low cost and high performance. When comparing to all other software in this industry Estimator 2.0 is very user friendly and helps you get the cutting edge of accuracy in preparing estimates and managing your projects. 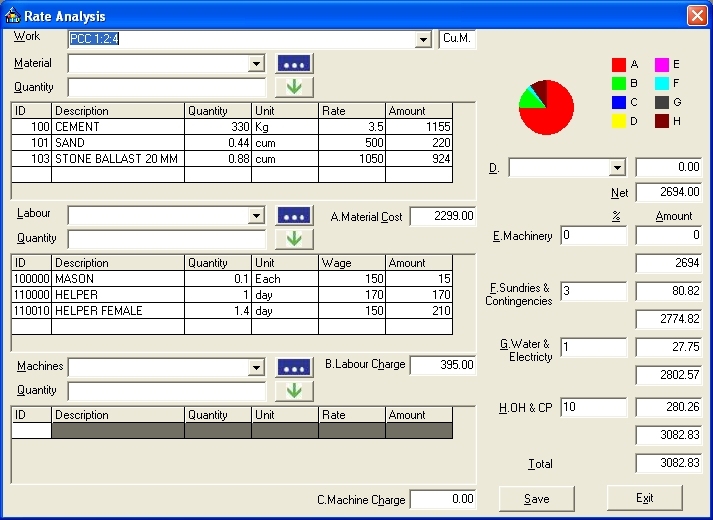 This software also helps you to implement cost control by saving 90% of your time and 30% of your project cost. * Prepare various estimates of a building. * Issue bill of quantities to contractors for tendering. * Compare various tenders, finalize and issue a work order to a contractor. * Record measurements to prepare contractor running bills. * Generate purchase requests, purchase orders and material receipt notes. * Help you in forecasting, executing, analyzing projects fast and accurate. * Easy installation and minimum system requirements. Qweas is providing links to Estimator 2.0 2012 as a courtesy, and makes no representations regarding Estimator or any other applications or any information related thereto. Any questions, complaints or claims regarding this application Estimator 2.0 2012 must be directed to the appropriate software vendor. You may click the publisher link of Estimator on the top of this page to get more details about the vendor.